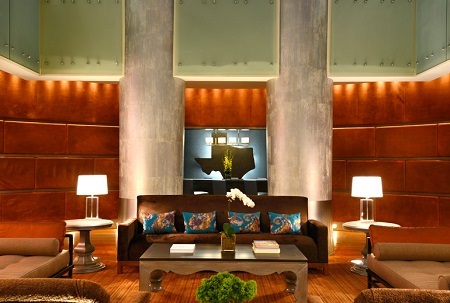 The Magnolia Hotel Houston in Houston, Texas! Bid per Room per Night and Choose your Length of Stay! 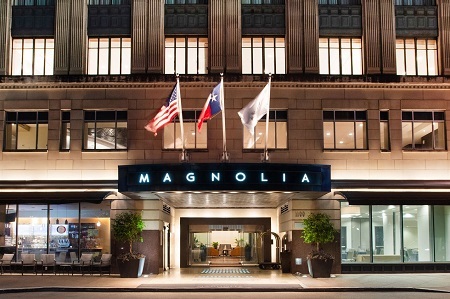 Named the "Best Boutique Hotel in Houston" by the Houston Press, Magnolia Hotel Houston in downtown Houston was originally the home of the Houston Post Dispatch newspaper. 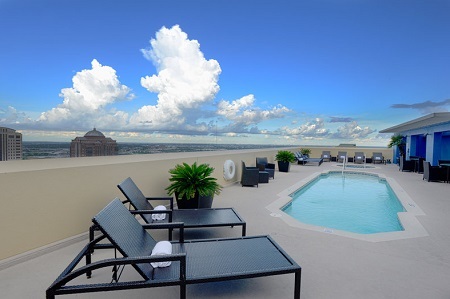 Later it became the corporate office for Shell Oil Company, until the hotel in Houston, TX reopened in March 2003 after extensive renovation. Hailed as one of the most impressive office buildings in Texas, Magnolia's restoration has re-established the 1926 historic landmark as one of Houston's most distinct properties. Experience our delicious menu options at our downtown Houston restaurant & bar, The Lounge, or retreat to the comforts of your room or suite and order room service. 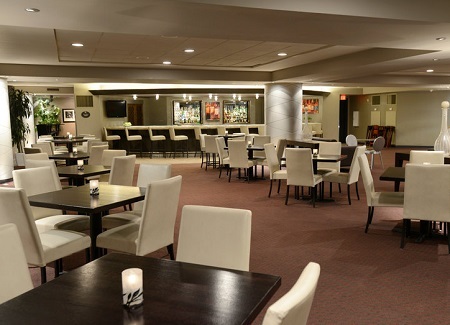 A la carte breakfast, lunch, and dinner is served daily in The Lounge, located on the second floor of the hotel. 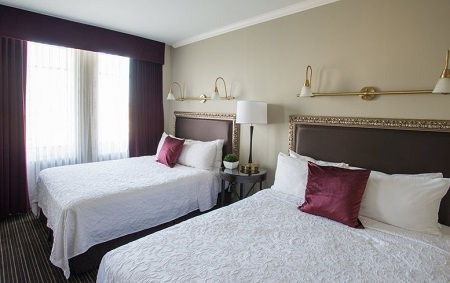 Rated "One of the top 100 new hotels in the world" by Conde Nast Traveler Magazine, our hotel rooms and suites are perfectly suited for your business trip, extended stay, or weekend getaway with that someone special. The suites and hotel rooms in Houston feature soft muted colors, "to die for" bedding, and velvet draperies. Offer is based on a Single or Double Occupancy in a Deluxe Room. Breakfast is NOT included.